Don't rinse after brushing for at least 30 minutes. These toothpastes need time to work like they should. By spitting thoroughly instead of rinsing your mouth with water after brushing, you'll allow the thin coating of toothpaste remaining on your teeth to get to work providing the relief it is designed give you. Start experimenting with Calcium Based Desensitizing products first. 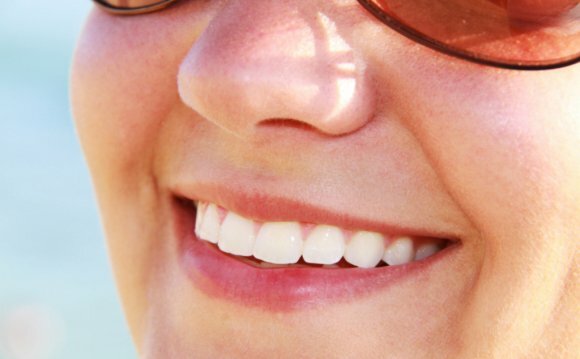 Not all these toothpastes work best for everyone, and it is best to try out different types. Since the Calcium Based Desensitizing Toothpastes are designed for more immediate relief, it is best to try them first. I prefer beginning with Colgate's Pro-Argin Sensitive Pro-Relief Toothpaste based on the available literature. Make sure you don't forget out tips regarding your diet for sensitive teeth, and oral hygiene tricks for sensitive teeth. High concentrations of potassium ions depolarize nerve endings in the pores of exposed dentin, and keep them from sending pain signals. Can work in spite of acid erosion and abrasive events during the day, which open pores on exposed dentin causing tooth sensitivity. Can take up to 2-4 weeks for maximal effect, so stick with it. Sensodyne and the vast majority of desensitizing toothpastes you'll find on the market. Specific ratios of arginine and calcium in the toothpaste are designed to mimic the natural remineralizing properties of saliva and protect sensitive nerve endings by plugging open pores in exposed dentin with calcium phosphate. This is what I recommend. Emulates the body's natural processes. Can be rubbed on with your finger to sensitive teeth. Acid erosion and abrasive events during the day can reopen pores. If you live in the US, Pro-Argin toothpastes can be hard to find. Although you can purchase Colgate Sensitive Pro-Relief with Pro-Argin from Canada, the US version has the exact same label with different ingredients, which makes it confusing to purchase. All the same ingredients are present in Elmex Sensitive Professional toothpaste (not in other formulations of Elmex), and you can find this toothpaste online without all the confusion. Until the FDA approval process is completed, buying Elmex Sensitive Professional online is the best way to get Pro-Argin toothpaste if you live in the US. Using a milk protein with calcium ions combined as Casein Phosphopeptide - Amorphous Calcium Phosphate (CPP-ACP) they help protect sensitive nerve endings by plugging open pores in exposed dentin with calcium phosphate. Product is designed to provide more immediate results, and has a degree of substantivity (stickiness to teeth) because of milk proteins in the formulation. These products are designed to help remineralize teeth and can also help protect sensitive nerve endings by plugging open pores in exposed dentin with calcium phosphate.